Megapixels are an important facet of photography and important to getting quality photographs, but they aren’t the determining factor to good photography. Take that into considerations when buying a camera. Everything is measured in various increments. One thousand millimeters is the equivalent to one meter. With that same concept one million pixels is the equivalent to one megapixel. Since you are reading this article you are also staring at pixels and megapixels on your screen. When thinking of a megapixel, think of how all the threads come together to make a tapestry or the yarn that makes scarves. It is the same with a megapixel, each pixel alone is only one color, but combine it in a sequences with many other pixels and you will we see more than one color and see a picture instead. Pixels are so small though that you don’t really look at one individual pixel with your naked eye, that is why it takes so many pixels together to see them. That “so-called” combination of pixels are what make up megapixels. Now, back when digital cameras first started coming out the highest pixel count was between 1-2 megapixels. Back then, it was important to be aware of how many megapixels you were using and what you were going to get. If the camera doesn’t have enough megapixels, it won’t have the capabilities to give you a quality, non-pixelated picture. There wouldn’t be enough pixels recorded to make a large image that is still sharp and clear. Luckily in today’s photography world, it is almost impossible to get a camera under 5 or 6 megapixels unless it is a used camera. During this whole discussion nothing has been said for or against how many megapixels you should have to get quality photography. That is because while its important to make sure you have enough for the size of picture you want, more megapixels doesn’t guarantee a better picture. Its seems to make more sense that more megapixels ensures the sharper, clearer photo. Sadly, this is a misconception that no one bothers to correct. There is so much more to creating those images, including lighting, knowledge of the camera’s buttons and controls, tripods, composition, and more. You’re familiar with the Megapixels on you’re camera. The table below can tell you what size of pictures you can print with megapixels you’re camera provides. Thank u for this information. I’m really need it and now i found it. 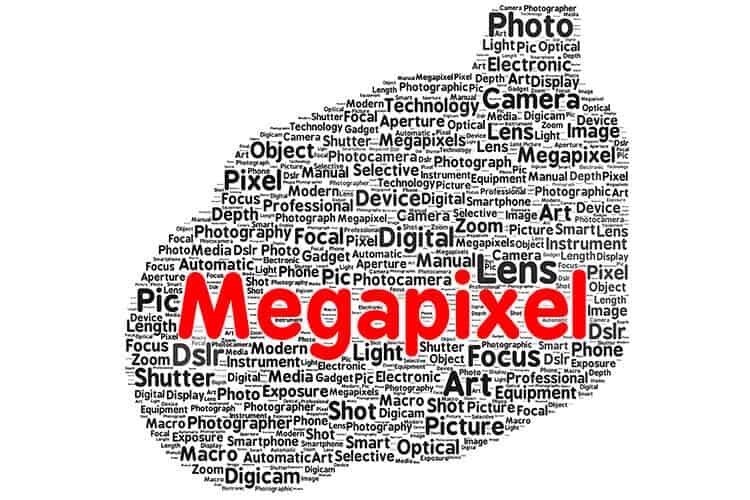 Thank you very much I really need this information about Megapixel.which I got in this article. thank you for this info.this is a fix-it-to-wall kind of table for new photographers like me.